I am probably the laziest person when it comes to following beauty regimes! While it's exciting to try new products, I find it really hard to stick to a routine. But the CTM box sent over by Ananda was an exception! The cleanser, toner and moisturiser have a pleasant herbal aroma that takes me to a mountain forest every time I open the lids. I have been using the products for the last two weeks and I am loving the change on my face! The products soothe and calm the skin tissues within minutes of application, which results in a more radiant skin. The entire routine takes less than 5 minutes- I follow it either in the morning or at night, as per my own convenience. Just a tiny drop of this cleanser (available in both oily and normal/dry skin variants) is enough to clean the entire face. A minute's massage, followed by a gentle rinse with lukewarm water is all it takes to let its goodness seep in your skin. You can even use it as a moisturiser! Much to my surprise the cleanser isn't oily at all, and doesn't make the skin sticky. Juniper and basil both come with excellent antiseptic and detox properties that help in the deep cleaning of the skin. -Stimulates regeneration of skin cells. 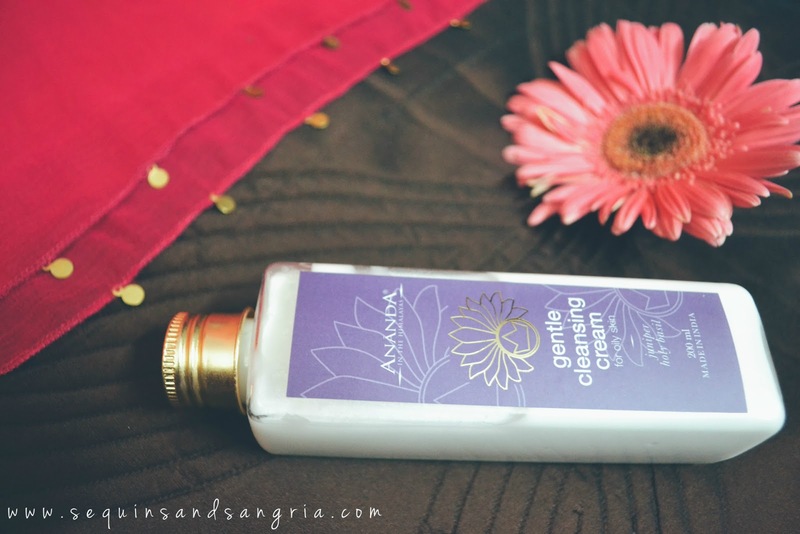 This toner is like a nutrition boost for the skin which keeps it hydrated for the entire day. It is composed of Kashmiri rose distillate, suitable for all skin types. The formula is so gentle that it can be used around the eyes too! You can use the toner every time you wash/scrub your face to close the pores of the skin that open up. You can use it on any skin area other than the face, especially to calm the skin down after long hours in the sun. 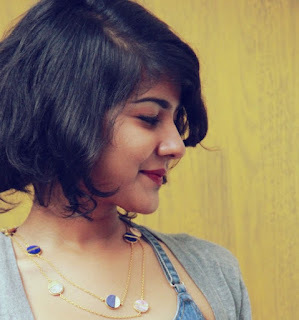 I stay away from cream-based formulas for the skin because of it's extremely oily nature. No matter what I use, creams and moisturisers always seem to trigger an oily layer on my face that is not pleasant at all. 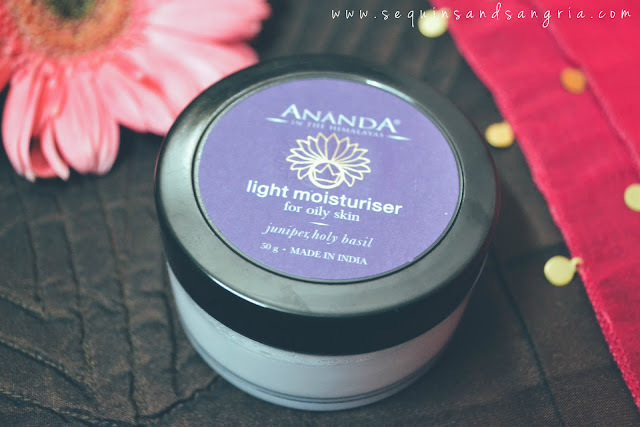 What I loved about Ananda's Light moisturiser is that it is absorbed by the skin so quickly that there is no scope for an oil build up. It is deeply hydrating yet the skin feels normally dry on the surface after application. Finally got my hands on a non-greasy moisturiser- what a win! I recommend all the products because of the sheer organic, natural goodness they come with. 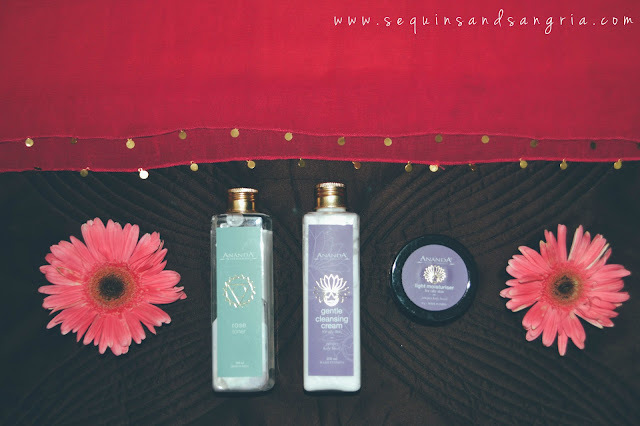 My favourite has to be the versatile cleansing cream! 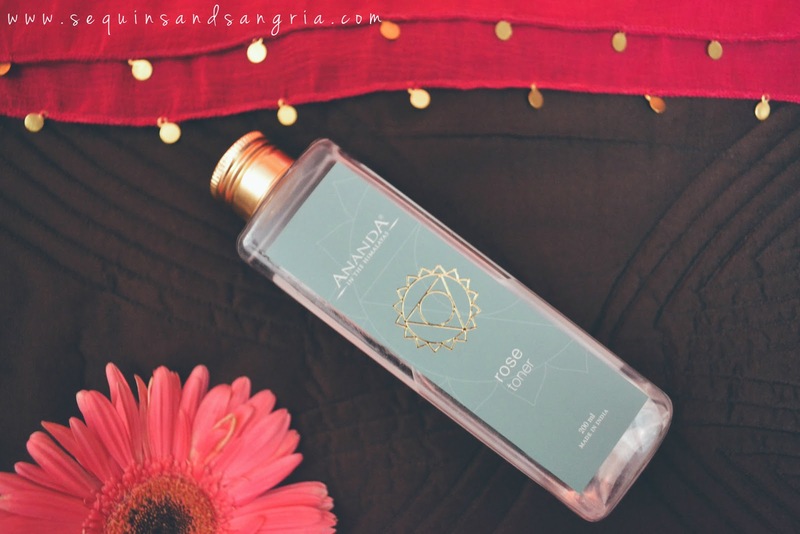 You can find more products at Ananda Spa's online store.